Koh Lipe is a small island in the Adang-Rawi Archipelago of the Andaman Sea, in Satun Province of southwest Thailand, close to the Malaysian border. 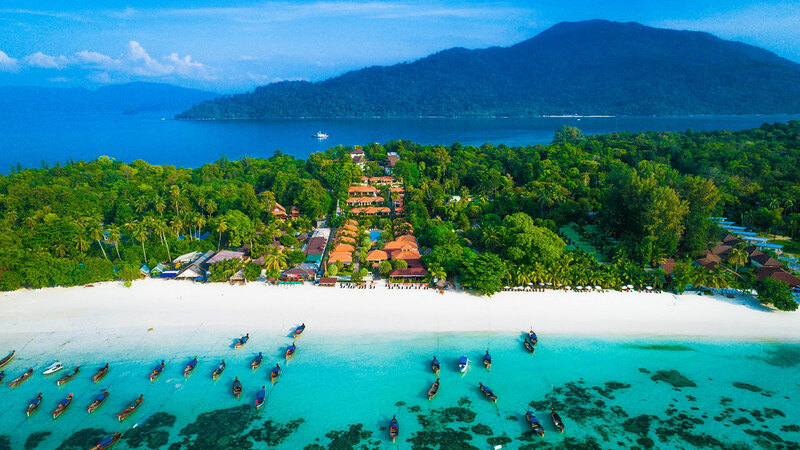 Koh Lipe is outside of the jurisdiction of Tarutao National Park, and as such is exempt from certain laws prohibiting development. It is surrounded by uninhabited islands of the Butong Archipelago. The island is home to about 500 Chao Ley, or Sea Gypsies, who were given a grant to half of the island and live in small villages, predominantly around the far east side of the island near Sunrise Beach. The name "Koh Lipe" means "Paper Island" in the local Chao Ley language. If you are planning to get married or renew and you are worried about the cost of a large event to which all your relatives must be invited, or if you are already married and wish to crown your honeymoon with a very special memory, let's us arrange you full details of a wedding so special that you can telling your grandchildren about it on the day of your Koh Lipe Wedding Packages.